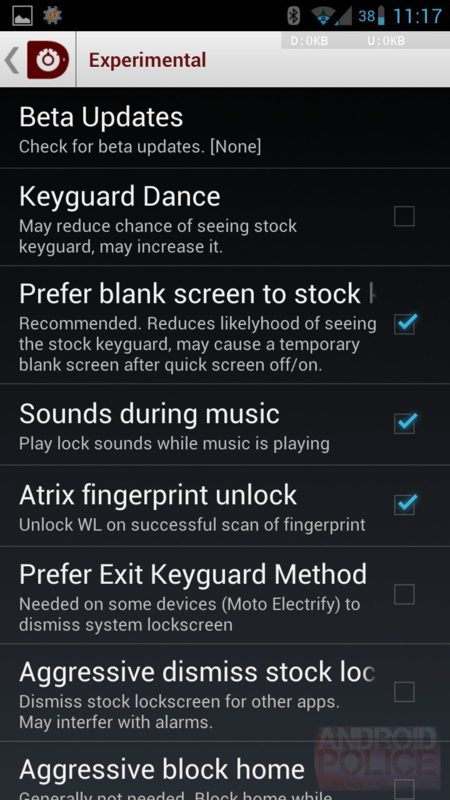 Inside this hidden area, you'll find some pretty neat features, many of which are in place to reduce the likelihood of the stock lockscreen showing up instead of WidgetLocker's custom interface. 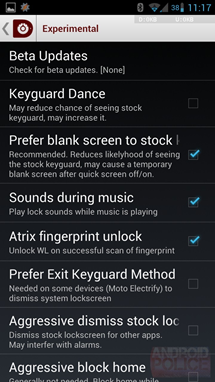 There are also some device-specific tweaks here, like a toggle for the Atrix's fingerprint scanner. 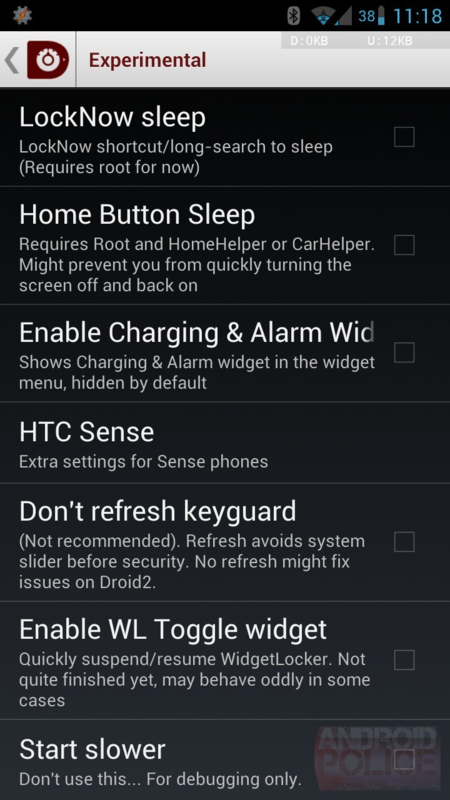 There are also some goodies for HTC phones running Sense, and extra features for devices with capacitive buttons. 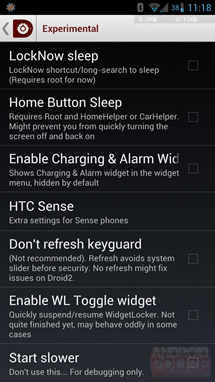 If you're a WidgetLocker fan, we recommend at least digging around in this menu. 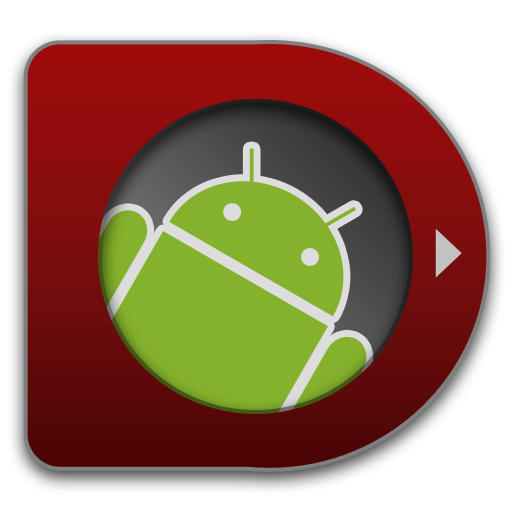 It may just unveil something that could improve the overall experience on your particular device.